Divorce is never an easy process and will be incredibly trying on both spouses. Divorce can also be very expensive. An Ohio divorce lawyer can make this process easier by explaining the relevant divorce laws and serving as a competent legal representative. The Ohio divorce lawyer will help you trough settlement options and even to trial if necessary. Many Ohio divorce lawyers will also offer divorce related services such as mediation and document preparation. What are some grounds for divorce in Ohio? No fault divorces can happen with the mutual consent of both spouses. A no fault dissolution of marriage can occur If the spouses determine that they are incompatible or have lived apart, without cohabitation, for a year. In a mutual divorce, an amicable settlement can be reached grading the status of children, spousal support and division of property. Why would I need an Ohio divorce lawyer? Although divorce laws are generally similar from state to state, other factors, such as child and spousal support are not. Divorce is often accompanied by other parts of family law including custody and child support. An Ohio divorce lawyer will be able to inform you and prepare you for eventual visits to family court to resolve other matters. A local lawyer also affords you the benefits of greater interaction and personal attention to your case. You will be better prepared for your divorce with the aid of an Ohio divorce lawyer. What are organizations of Ohio divorce lawyers? The Ohio State Bar Association is the primary organization for Ohio lawyers. Membership in the bar association is not mandatory, but bolsters a lawyer’s credentials significantly. This is especially the case in Ohio as the State Bar certifies attorney specializations such as family law, which represents an important professional link for Ohio divorce lawyers. This organization provides additional perks, including a library of legal forms for their personal use and a system that organizes legislation for easy use by the lawyer doing research. This means that the Ohio divorce lawyer will be able to apply these resources to your case efficiently, saving you money on document and hourly fees. As with most State Bar Associations, the OSBA sets ethical guidelines and maintains an ethics hotline to dispense advice to lawyers on those matters. There are also continuing education classes to keep lawyers up to date on their various law specializations, including changes to the no-fault rules and child support calculation formula. For these reasons, membership for lawyers in the bar association and one seeking an Ohio divorce lawyer should consider a member of the OSBA. How do I know my Ohio divorce lawyer is legitimate? It is important to ensure you have a legitimate Ohio divorce lawyer to handle your case. Even if you do not intend to go to trial, you want to make sure you follow the proper legal process to complete the divorce. Do not accept services from a lawyer whose credentials you cannot verify as this may put you at risk of fraud or legally questionable services. Regarding lawyer referral service, only local bar associations maintain this service, which is regulated by the Ohio Supreme Court. Depending on your location, you will have to contact the bar association that works within that country for a referral. For instance, an individual in Columbus, Ohio, one should contact the Columbus Bar Association for a lawyer referral service. What are the typical rates of an Ohio lawyer? There are a number of factors that can affect the costs of a divorce case and lawyer fees. If the case is an at fault divorce and is therefore contested, this will be a lengthy process and will require a retainer. Clearly, a mediated or settlement divorce will be much cheaper and will avoid going to court. Flat rate services are available for document preparation and divorce mediation, at the discretion of the Ohio divorce lawyer. A retainer is a fee that remains in a trust account. This may become an expensive arrangement as every time the lawyer performs a service related to your case, he charges this account. Leftover retainer can be returned to the client, but there is also a chance that the attorney will exhaust the retainer and require the client to refill the account. The retainer does not include court costs, which are also paid by the client. However, these fees, such as the fees for filing the case, are fixed. Take advantage of free consultations when they are available to discuss potential fees and payment arrangements with Ohio divorce lawyers. The above fees do not consider court costs, which are also paid by the client. You may be able to arrange low cost and extended payment for legal services at the discretion of the attorney or law firm. Free divorce or child support lawyers may be available to parents that cannot afford a regular lawyer to deal with custody or an adjustment of child support payments. Especially in cases of domestic violence or other victimization, free services will be easier to obtain. State authorities will also have child support enforcement units to locate deadbeat non-custodial parents and force them to honor their obligations. Additionally enforcement mechanisms include suspension of licenses, interception of lottery winnings and withholding of public or entitled benefits. What are questions to ask Ohio divorce lawyers? How does my case relate to Ohio state and local laws? Do you offer divorce mediation services? Do you think this divorce case should proceed to court? How is gross income calculated in Ohio for the purposes of child support? Do you see any potential flaws in my child or spousal support claim? Can you represent me if I need to sue for non-payment of child support? While the decision to end a marriage is never an easy one, divorce lawyers in Ohio will make the process as pain free as possible. Before consulting with a divorce lawyer in Ohio, ensure that your marriage is broken and that there is no hope for the marriage to continue. After you assess your situation, determine if you can pursue a no fault or mutual divorce. Choosing either of these options will be significantly as the case will be shorter, private and usually end amicably which would theoretically allow the parents to work together for the sake of children from the marriage. There is a clear disadvantage to raising children after a contentious and messy divorce, which can be avoided. Some divorce lawyers in Ohio will specialize in certain aspects of divorce, like working with the client after the divorce to achieve proper child support payments or alimony. Similarly, some lawyers in Ohio will purport to be divorce lawyers for men who can impose conditions on spousal support and right to reduce spousal support payments. When consulting with divorce lawyers in Ohio, determine if you may need the divorce lawyer’s services beyond the divorce proceedings for child support and other family law matters. Many divorce lawyers Ohio will offer mediation sessions to divide property, child support, and custody at a flat rate fee. 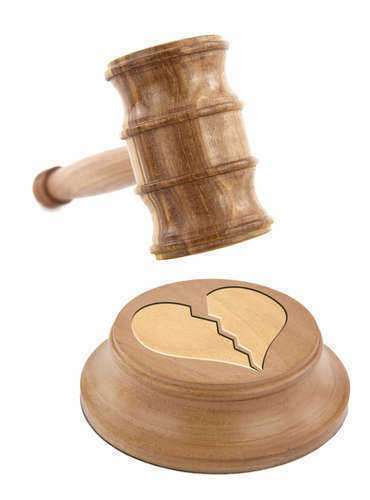 You can achieve this separation in just a few short sessions with a divorce lawyer Ohio. The length of these sessions will depend on the complexity of the divorce and the willingness of the spouses to compromise. This is considered a no fault divorce. For at fault divorces, be prepared to retain a divorce lawyer in Ohio as you will need to prove as well as make the appropriate claims against the other spouse and legal representation.